We have a change in May's Class Schedule. A sewing machine is a big investment and your best and probably favorite friend. machine that a relative, spouse or you bought for you. keep your sewing machine healthy and dependable. She will go over vintage and modern sewing machines. Feel free to bring in a sewing machine with you. 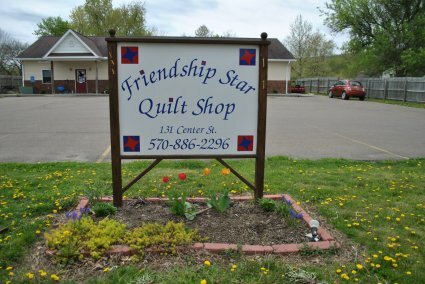 If you have purchased a Necchi Sewing Machine from Friendship Star Quilt Shop, the class is free of charge. Grab your leash and come on in to sign up for our new class and stop in to check out our big sale next week.